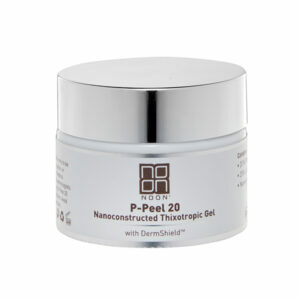 P-Peel 40 Nanoconstructed Thixotropic Gel reduces fine lines, wrinkles and sun damage. The peel formula utilizes keratolytic, sebum regulating, and anti-microbial effects. It affects the epidermis and dermis, decreases the convergence of epidermal corneocytes and prevents the thickening of the corneal layer. P-Peel 40 Nanoconstructed Thixotropic Gel includes Pyruvic Acid that creates a protective film, which prevents the skin from dehydration due to its moisturizing properties. The P-Peel 40 Nanoconstructed Thixotropic Gel formula contains 40% Pyruvic Acid, 5% Lactic Acid and the anti-irritant DermShieldTM (patent pending). It further includes the nano-constructed inorganic matrix which creates a thixotropic gel. 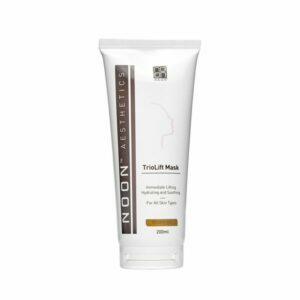 Use of this nano-constructed material significantly increases the peeling effect, allowing the use of lower concentrations of peel agents. Suitable for all skin types, including dark skin and sensitive skin | Exfoliates the skin without drying it.